Home » Community Events » Can you crack the egg anagram and maze this Easter at Kingfisher? Little ones visiting the Kingfisher Shopping Centre can enjoy plenty of Easter fun exploring an interactive maze and embark on an Easter egg trail during the school holidays. 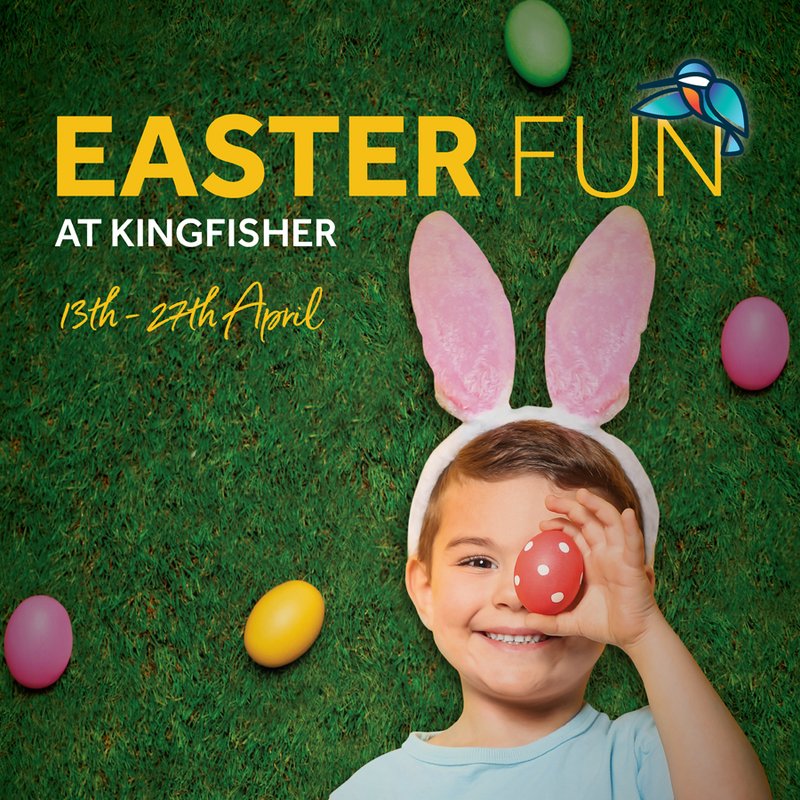 Kingfisher will be transformed into an Easter themed hub with giant eggs, Easter bunny themed games and a fun Easter egg trail to get families into the spirit of spring. The Easter activity gives children the opportunity to hop along through the maze with their trail map searching for the hidden letters and follow the bunny footprints around the centre to find the giant eggs and letters. On completion of the egg hunt, they can collect a chocolate treat from our Customer Service desk and also enter in to a colouring competition to win a £50 gift card for The Entertainer. We can’t wait to welcome families into the Kingfisher for our Easter maze and trail. There’s plenty going on around the centre this year to keep the little ones entertained and it’s the perfect holiday activity for all the family to get involved in, young or old. The Easter maze and trail is taking place from 10am – 4pm every day, from Saturday 13th April through to Saturday 27th April (excluding Easter Sunday). There is no need to book, on arrival, simply go to the Customer Service desk in Worcester Square (near Boots) and pick up a trail map to get started.